The Indian market already has the Hyosung GT650R and the Kawasaki Ninja 650R and at this point of time in the Indian market, Suzuki coming up a new and refreshed V-Storm 650 internationally, looks very prudent indeed, as at some point of time, Suzuki would also bring in it's 650cc, middle-weight segment competition in India. The Suzuki V-Storm has been in the middle-weight touring segment of the market since 2004 and has remained majorly unchanged since then. 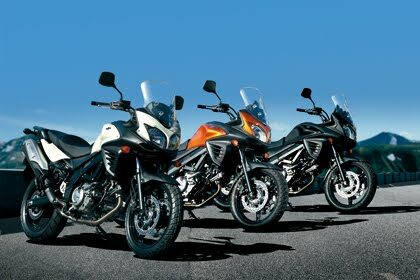 In 2006, the optional ABS version of the V-Storm was released, with the rest of the bike remaining more or less same. With the 650cc segment heating up and people wanting more affordable and yet fun options, Suzuki came up with the revised V-Storm 650 just at the right time. Suzuki has been teasing us with this middle-weight segment competitor for around a month now and last night, gave us a full blown glimpse of what's coming. Going by the site homepage, I think, this is deliberate leak into the details, while still trying to maintain anonymity about the bike. 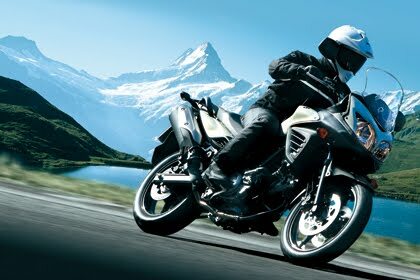 So, what has come up in the shape of images and specs speaks of a well rounded sports tourer, much in the lines of the Kawasaki Ninja 650R. 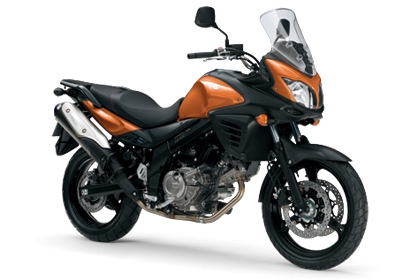 The engine is based on the SFV650 Gladius, though has been re-tuned to low and mid-range torque to suit V-Storm's sport adventure nature. Look wise nothing seems have changed much apart from the front fairing and the side strakes, apart from which the bike looks pretty much the same as the outgoing model. 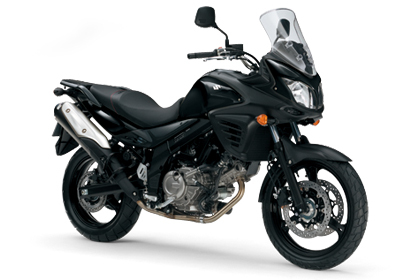 Once released internationally, I'm pretty sure that the new V-Storm 650 would make it to Indian shores, the only thing that would be interesting to see is at what price it comes as the 650cc middle-weight segment is already at war in India. are u a bike specialist? 1) DON'T RUSH YOURSELF TOWARDS THE BIKE. Meaning, give yourself ample time to get familiar with the bike. 2) Wake up early morning, find an empty place like a parking lot or field, grab a friend of yours and practice the clutch, throttle and brakes. That's paramount. The faster you get familiar with the clutch, throttle and brakes the quicker you would learn. 3) When you are done with clutch, throttle and brakes, it's time to practice how the bike behaves in turns, slow and tight turns, because that's what you gonna face in traffic. 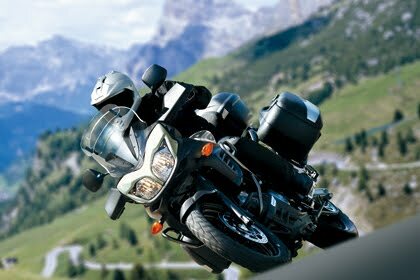 While turning keep your focus more on the rear brake than on the front brake. 5) Always hold front brake lever towards it's end, it give you more leverage. 6) Initially the bike would stall and that's bound to happen, so don't get freaked out. Plantina 125 has thumb starter, so you won't be having much hassles in starting the bike. But remember don't over use the thumb starter as it would hamper the bikes electronics and drain out the battery. Use the kick and the thumb starter alternatively. 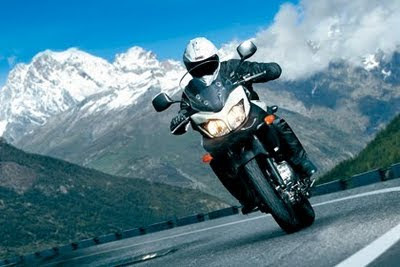 7) Unless and until you are confident with your bike, don't take pillion in traffic. 8) Platina has Ride Control switch, so initially I would suggest to keep it to restricted mode, which basically restricts how much throttle you can play with.